Minas Gerais was the source of much gold, diamonds, and other precious and semi-precious stones such as topazes. Even though laws forbade metalsmiths from working in Minas Gerais, numerous highly skilled goldsmiths used the local gold and gems to create treasures for homes and churches. Smiths also worked with imported metals such as silver, copper, and pewter. 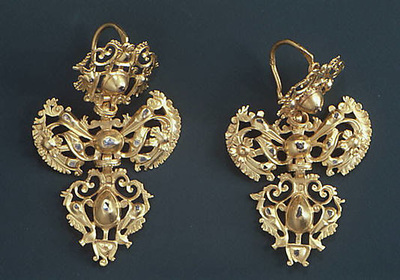 Wealthy Brazilians wore much jewelry. Many accessories such as buttons, stirrups, and buckles were often made of gold and embellished with precious stones. 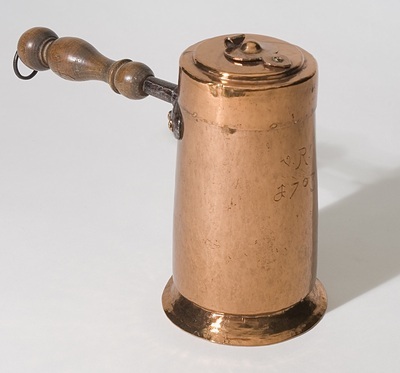 Utilitarian objects could also be made of pewter, copper, silver, and tin. Because metals can be easily melted down and reused, relatively few eighteenth-century objects survive to the present.